The Hampton Inn & Suites is located adjacent to Binghamton University w/easy access to downtown Binghamton & Broome Corporate Park. Spacious rooms & Suites with kitchenettes. 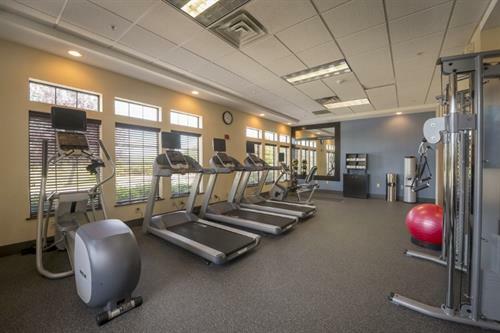 “On-the-House hot breakfast”, heated indoor pool, 24 hour fitness center, free HSIA, 24 hour Business Center, shuttle service to/from BGM Airport and within 3 miles of hotel. 550 sq ft of Meeting space. 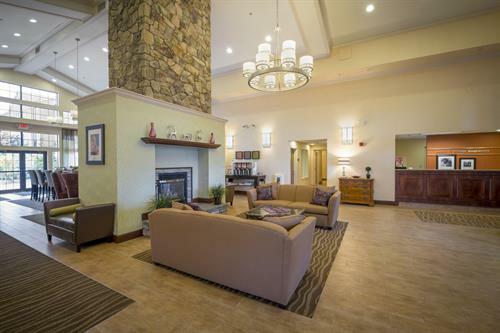 Near Rails to Trails, ample shopping and dining. Hilton Honors Rewards program. Our rates include a hot breakfast buffet. Standard rooms include a refrigerator and microwave unit. Suites are two rooms with ample space, refrigerator, microwave, counter seating two TV's and sitting area.